But “everything” is a loaded term, and “treatment” takes many forms. The term “treatment-resistant depression” first appeared in the literature in 1974 and has been used widely in the literature. (Incidentally, despite appearing over 20 times in the APA’s 2010 revised treatment guidelines for major depression, it is never actually defined.) The phrase is often used to describe patients who have failed to respond to a certain number of antidepressant trials (typically two, each from a different class), each of a reasonable (6-12 week) duration, although many other definitions have emerged over the years. Failure to respond to “adequate” trials of appropriate antidepressant medications does indeed suggest that a patient is resistant to those treatments, and the clinician should think of other ways to approach that patient’s condition. In today’s psychiatric practice, however, “treatment-resistant” is often a code word for simply adding another medication (like an atypical antipsychotic) or to consider somatic treatment options (such as electroconvulsive therapy, ECT, or transcranial magnetic stimulation, TMS). Seen this way, it’s a fairly narrow view of “treatment.” The psychiatric literature—not to mention years and years of anecdotal data—suggests that a broad range of interventions can be helpful in the management of depression, such as exercise, dietary supplements, mindfulness meditation, acupuncture, light therapy, and literally dozens of different psychotherapeutic approaches. Call me obsessive, or pedantic, but to label someone’s depression as “treatment resistant” without an adequate trial of all of these approaches, seems premature at best, and fatalistic at worst. What if we referred to someone’s weight problem as “diet-resistant obesity”? Sure, there are myriad “diets” out there, and some obese individuals have tried several and simply don’t lose weight. But perhaps these patients simply haven’t found the right one for their psychological/endocrine makeup and motivational level; there are also some genetic and biochemical causes of obesity that prevent weight loss regardless of diet. If we label someone as “diet-resistant” it means that we may overlook some diets that would work, or ignore other ways of managing this condition. Back to depression. I recognize there’s not much of an evidence base for many of the potentially hundreds of different “cures” for depression in the popular and scientific literature. And it would take far too much time to try them all. Experienced clinicians will have seen plenty of examples of good antidepressant response to lithium, thyroid hormone, antipsychotics (such as Abilify), and somatic interventions like ECT. But they have also seen failures with the exact same agents. Unfortunately, our “decision tree” for assigning patients to different treatments is more like a dartboard than an evidence-based flowchart. “Well, you’ve failed an SSRI and an SNRI, so let’s try an atypical,” goes the typical dialogue (not to mention the typical TV commercial or magazine ad), when we really should be trying to understand our patients at a deeper level in order to determine the ideal therapy for them. Nevertheless, the “step therapy” requirements of insurance companies, as well as the large multicenter NIH-sponsored trials (like the STAR*D trial) which primarily focus on medications (yes, I am aware that STAR*D had a cognitive therapy component, although this has received little attention and was not widely chosen by study participants), continue to bias the clinician and patient in the direction of looking for the next pill or the next biological intervention, instead of thinking about patients as individuals with biological, genetic, psychological, and social determinants of their conditions. Because in the long run, nobody is “treatment resistant,” they’re just resistant to what we’re currently offering them. 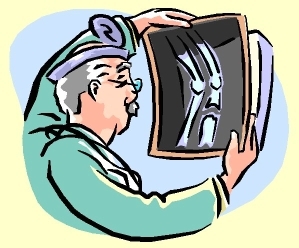 A doctor’s chief task is to determine the cause of a patient’s suffering and to develop a course of treatment. In psychiatry, the task is no different: examine the patient, determine a diagnosis, and initiate treatment. However, “treatment” comes in many forms, and what works for one patient may not work for another. A good psychiatrist tries to figure out which approach is ideal for the patient in his office, rather than reflexively reaching for the prescription pad and the latest drug option. How to determine what’s the best course of action for a patient? Recent research suggests one potentially foolproof way: Ask him. A paper in this month’s Psychotherapy and Psychosomatics by Mergl and colleagues shows that patient preference (that is, whether the patient prefers medications or psychotherapy) predicts how effective a treatment will be. In their study, patients who expressed a preference for medications at the beginning of treatment had a better response to Zoloft than to group therapy, while patients who preferred therapy showed the exact opposite response. 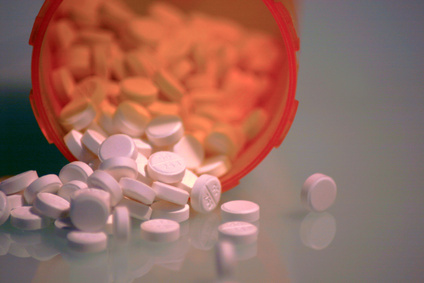 In an even larger study published in 2009 by James Kocsis and colleagues at Weill-Cornell in New York (comparing nefazodone, an antidepressant, with a cognitive therapy approach called CBASP), a similar result was obtained: patients with chronic major depression who entered the study expressing a preference for drug treatment had higher remission rates when receiving medication than when receiving psychotherapy, and vice versa. It’s not surprising, at first glance, that people who “get what they want” do better. After all, a depressed patient who insists on taking meds probably won’t get much better if he’s dragged into psychotherapy against his will, and the patient who believes that a weekly session with a therapist is exactly what she needs, will probably have some resistance to just getting a pill. But then again, isn’t depression supposed to be a hard-wired biological illness? Shouldn’t a medication have a more profound effect, regardless of whether the patient “wants” it or not? Apparently not. The fact that people responded to the treatment they preferred means one of two things. There may be two different types of depression, one that’s biological and one that’s more behavioral or “exogenous,” and people just happen to choose the appropriate treatment for their type due to some predisposition or innate tendency (self-knowledge?). Alternatively, the “biological” basis of depression is not all it’s cracked up to be. One question raised by these results is, why don’t we listen more to our patients and give them what they say they want? If half the people who want therapy actually get better with therapy, doesn’t that make it hard to justify meds for this population? Conversely, when we talk about “treatment-resistant depression,” or “depression that doesn’t respond to antidepressants alone,” could it be that the people who don’t respond to pills are simply those who would rather engage in psychotherapy instead? I believe the implications of these findings may be significant. For one thing, insurers are becoming less likely to pay for therapy, while they spend more and more money on antidepressant medications. These studies say that this is exactly what we don’t want to do for a large number of patients (and these patients are easy to identify—they’re the ones who tell us they don’t want meds!). Furthermore, trials of new antidepressant treatments should separate out the self-described “medication responders” and “therapy responders” and determine how each group responds. [Note: in the large STAR*D trial, which evaluated “switching” strategies, patients were given the opportunity to switch from meds to therapy or from one med to a different one of their choosing, but there was no group of patients who didn’t have the option to switch.] If the “therapy responders” routinely fail to respond to drugs, we need to seriously revamp our biological theories of depression. Its chemical basis may be something entirely different from how our current drugs are thought to work, or maybe depression isn’t “biological” at all in some people. This will also keep us from wasting money and resources on treatments that are less likely to work. While it’s often risky to ask a patient what he or she wants (and to give it to them), depression may be just the opportunity to engage the patient in a way that respects their desires. These data show that the patient may know more than the doctor what “works” and what doesn’t, and maybe it’s time we pay closer attention. Do we treat diseases or symptoms in psychiatry? While this question might sound philosophical in nature, it’s actually a very practical one in terms of treatment strategies we espouse, medications and other interventions we employ, and, of course, how we pay for mental health care. It’s also a question that lies at the heart of what psychiatry is all about. The above, possibly apocryphal, statement is often invoked to illustrate how dynamic the field of medicine can be, and how what we thought we once knew beyond a shadow of a doubt, sometimes turns out to be dead wrong. It’s also a celebration of scientific progress; as we revise our pathophysiological models, we can develop more targeted therapeutics. In this regard, psychiatry is no different from any other field of medicine. We don’t know (yet) what we don’t know, but once we do, our treatments will improve. At the same time, we need to be careful how we use this new information, lest it give us a false sense that we “know” something we don’t. I thought of this question when I encountered a headline earlier today at psychcentral.com: “How Lithium Works Finally Explained.” Talk about a tantalizing headline! 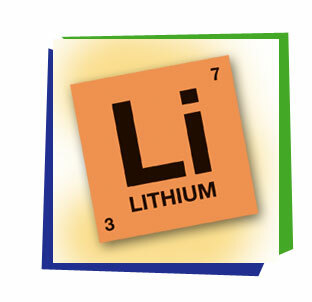 First used clinically in the late 1800s (and later “rediscovered” in the 1940s), and still used extensively as a mood stabilizer in bipolar disorder and as adjunctive treatment for major depression, lithium is one of the most widely prescribed medications in all of medicine. Many patients report a very good response to lithium, and its efficacy has not been surpassed by the multitude of other mood stabilizing agents introduced in the last 40 years. But there’s just one problem. Nobody really knows how lithium works. 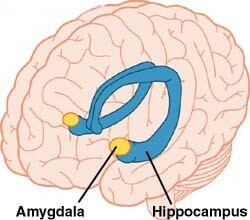 It’s an ion (similar to sodium), so it doesn’t bind to a receptor or transporter, like most other psychiatric drugs. It doesn’t seem to affect membrane potential (and therefore neuron excitability), and it doesn’t seem to target any particular region of the brain, much less those thought to be involved in mood disorders. It may inhibit intracellular messengers (the phosphatidylinositol pathway) or it might inhibit cellular differentiation (via the Wnt signaling pathway). Maybe it blocks sodium ion transport. Maybe it interacts with nitric oxide. No one knows. And yet it works. So it was with great interest that I read the original paper cited in the Psychcentral article. It’s a “mega-analysis,” published in the February 15 issue of Biological Psychiatry, of 321 bipolar patients in 11 centers worldwide who underwent MRI scans and were compared to non-bipolar controls. Half of the bipolar patients were taking lithium. To summarize the results, patients taking lithium had larger hippocampal and amygdala volumes than those not taking lithium, and patients with a longer history of bipolar disorder had reduced cerebral volumes. The data, then, seem to be consistent with the idea of lithium as having a “trophic” effect—i.e., as a promoter of neuronal growth, at least in some brain structures. But that’s about all we can say. Whether this has anything to do with intracellular signaling or the Wnt pathway, or with any known nerve growth factors, is beyond the scope of this study. So despite the exciting headline claiming to identify the “mechanism of lithium,” this is simply an observation, much like the observation about how antipsychotics may decrease brain volumes, about which I wrote last week. It suggests further research to understand lithium’s effect on these regions. But it may not be clinically relevant. Lithium is a widely used drug because it works. Period. These new data add to our knowledge about bipolar disorder, but to assume that they help us understand bipolar patients any better than we did before, is incorrect. Moreover, it may lead us to draw false conclusions about our patients (i.e., “he’s not responding to lithium so his hippocampus must be atrophied”) or, worse, reject or disregard data that don’t fit with our hypothesis. I’d much rather prescribe a drug because I have years of experience using it, and have heard hundreds of patients endorse its benefit, rather than adhere to an incorrect theory, even a theory with “face validity” like lithium promoting nerve cell growth and differentiation. In fact it’s not too hard to find arguments against this theory: for starters, consider lithium’s teratogenic effects during human embryonic development. Anyone who wants an accurate explanation for how a psychiatric drug works is, unfortunately, out of luck. The serotonin hypothesis is a perfect example: SSRIs work in a lot of patients, and the serotonin hypothesis helps to guide treatment, but it might be absolutely incorrect. How many alternate explanations have we ignored because we want to believe that our model must be right? We can, and should, continue to use SSRIs to treat depression, and lithium to treat bipolar disorder. But we should be aware that our explanations of their mechanisms are mere hypotheses—nothing more. And, moreover, that these hypotheses may be contradicted or proven wrong. Because we don’t know which half of our knowledge is the correct half. While writing my recent post on the placebo effect in schizophrenia (and while reviewing some of the comments I received on this post), I started to think about what aspects of the patients’ experience are most susceptible to change, which might account for the “placebo effect” seen in clinical studies of antipsychotics. 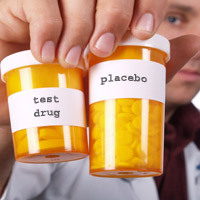 As one commenter correctly pointed out, the placebo effect should not be viewed as a mysterious consequence of ingesting some inert drug, but rather a reflection of the patient’s inherent ability to heal. Unfortunately we know very little about the mechanisms involved, and we are devoting even less effort to understanding how to capitalize (no pun intended) on this process in the long-term management of psychotic disorders. I realized, however, that I didn’t acknowledge the fact that psychotherapy does have a place in the treatment of schizophrenia. 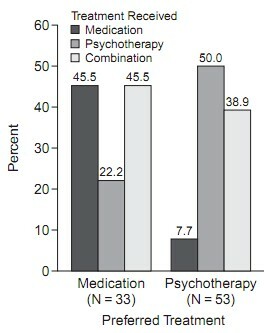 Psychosocial treatment approaches, for instance, are routinely employed, with varying degrees of success, and some groups have used cognitive behavioral therapy techniques as well. Cognitive therapy, in a nutshell, is based on the assumption that early experiences and social environment can give rise to “schemas” about the self, other people, and the world. These beliefs then lead to cognitive distortions, negative styles of thinking, and misinterpretations of events in the world (or in one’s own mind). Cognitive therapy aims to question or challenge these distortions and misinterpretations to engender a healthier, more functional view of oneself and one’s ability to master his surroundings. At first glance, cognitive therapy seems like it would be ineffective in a psychotic patient, who may not be able to appreciate the discrepancy between his subjective experiences and objective reality. Nevertheless, it has shown some promise, and a classic paper in this field is the 1994 article “Cognitive Behaviour Therapy of Schizophrenia” by Kingdon, Turkington, and John, in the British Journal of Psychiatry. It is a fascinating, and eye-opening, read. A particularly striking aspect of the paper (and keep in mind that I received my psychiatric training within the last 10 years, firmly in the atypical antipsychotic era) is that it says nothing about eliminating psychotic symptoms. The current literature, in contrast, starts with the assumption that hallucinations, delusions, and cognitive deficits of schizophrenia are biochemical entities (which they are, of course, like any other mental phenomenon), but they are deviant and/or undesirable, and biological interventions (i.e., drugs) abolish or “correct” them. The Kingdon article assumes that schizophrenic thought content lies on a continuum with “normal” cognition, and in fact some of the same cognitive processes are employed, albeit improperly or deficiently. The authors claim that “abnormal beliefs” can be more or less “amenable to reason” (as with any cognitive distortion in CBT) and a key element of therapy is to “identify meaning in delusional material and then assess alternative explanations.” In other words, it emphasizes the patient’s subjective experience, rather than the symptoms witnessed by the clinician. Newer applications of CBT-based techniques, reviewed in an excellent 2009 article by Tai and Turkington in Schizophrenia Bulletin, have taken advantage of this viewpoint and start with the belief that “it is the individual’s personal meaning, understanding, and coping with symptoms that are the focus of treatment” – not the mere presence or absence of hallucinations or delusions. In particular, mindfulness-based approaches, acceptance and commitment therapy (ACT), and compassionate mind training (CMT), are therapeutic techniques that involve awareness of one’s experience, acceptance of internal events, and minimization of shame and self-criticism that can arise from paranoid or persecutory thoughts, respectively. Schizophrenia is probably not a single disease; in fact it is likely to comprise many different cognitive, developmental, physiological, and externally mediated disruptions, all of which lie on a spectrum with the “normal” state. (The Kingdon article, in fact, goes to great lengths to point out how even non-psychotic individuals can experience “psychotic” beliefs in the form of superstitious thought, overvalued ideas, or psychosis induced by sleep deprivation or hallucinogenic drugs.) To be sure, some psychotic symptoms in some patients will respond best to a dopamine antagonist, but it is imperative that we employ other tools at our disposal to help patients overcome them, amend them, or just accept them. 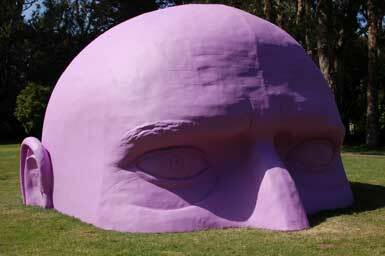 Unfortunately, too few psychiatrists in my generation have learned those tools—all we have is the antipsychotic hammer, and “schizophrenia” is the proverbial, monolithic nail. The placebo response is the bane of clinical research. 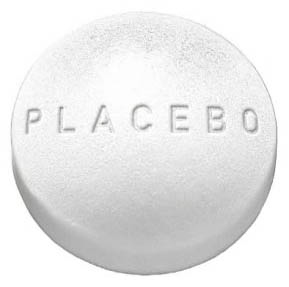 Placebos, by definition, are inert, inactive compounds that should have absolutely no effect on a patient’s symptoms, although they very frequently do. Researchers compare new drugs to placebos so that any difference in outcome between drug and placebo can be attributed to the drug rather than to any unrelated factor. In psychiatry, placebo effects are usually quite robust. Trials of antidepressants, antianxiety medications, mood stabilizers, and other drugs typically show large placebo response rates. 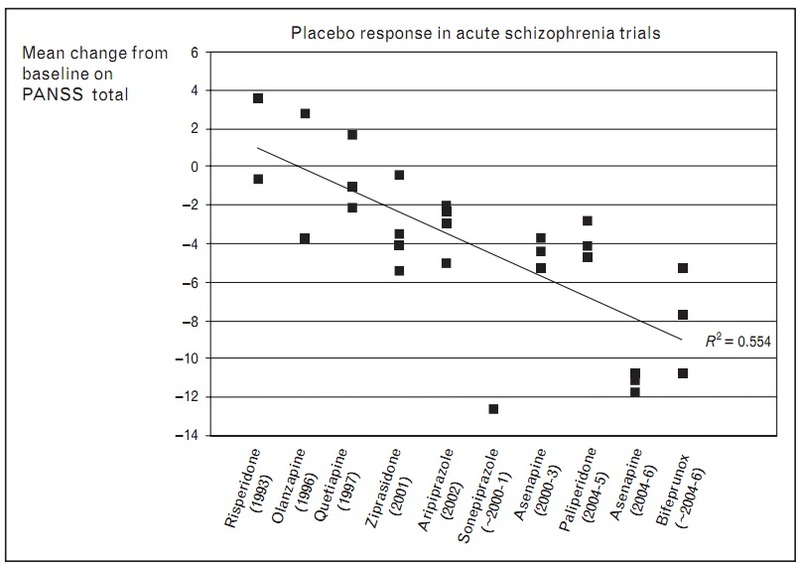 A new paper by Bruce Kinon and his colleagues in this month’s Current Opinion in Psychiatry, however, reports that placebos are also show some improvement in schizophrenia. Moreover, placebos seem to have become more effective over the last 20 years! Now, if there’s any mental illness in which you would not expect to see a placebo response, its schizophrenia. Other psychiatric disorders, one might argue, involve cognitions, beliefs, expectations, feelings, etc.—all of which could conceivably improve when a patient believes an intervention (yes, even a placebo pill) might make him feel better. 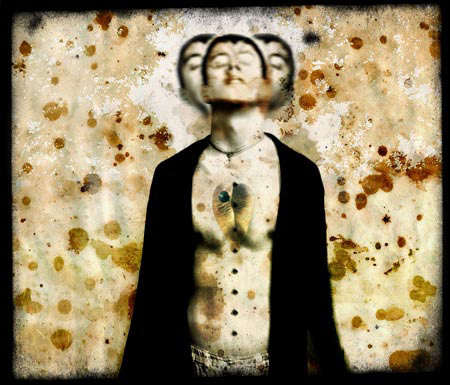 But schizophrenia, by definition, is characterized by a distorted sense of reality, impaired thought processes, an inability to grasp the differences between the external world and the contents of one’s mind, and, frequently, the presence of bizarre sensory phenomena that can only come from the aberrant firing of the schizophrenic’s neurons. How could these symptoms, which almost surely arise from neurochemistry gone awry, respond to a sugar pill? Yet respond they do. And not only do subjects in clinical trials get better with placebo, but the placebo response has been steadily improving over the last 20 years! Kinon and his colleagues summarized placebo response rates from various antipsychotic trials since 1993 and found a very clear and gradual improvement in scores over the last 15-20 years. Very mysterious stuff. 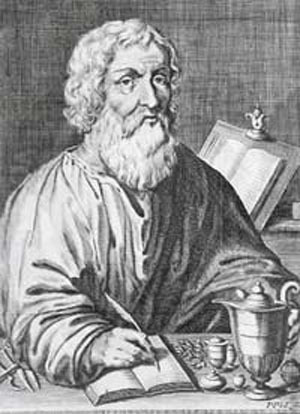 Why would patients respond better to placebo today than in years past? Well, as it turns out (and is explored in more detail in this article), the answer may lie not in the fact that schizophrenics are being magically cured by a placebo, but rather that they have greater expectations for improvement now than in the past (although this is hard to believe for schizophrenia), or that clinical researchers have greater incentives for including patients in trials and therefore inadequately screen their subjects. In support of the latter argument, Kinon and his colleagues showed that in a recent antidepressant trial (in which some arbitrary minimum depression score was required for subjects to be included), researchers routinely rated their subjects as more depressed than the subjects rated themselves at the beginning of the trial—the “screening phase.” Naturally, then, subjects showed greater improvement at the end of the trial, regardless of whether they received an antidepressant or placebo. A more cynical argument for why antipsychotic drugs don’t “separate from placebo” is because they really aren’t that much better than placebo (for an excellent series of posts deconstructing the trials that led to FDA approval of Seroquel, and showing how results may have been “spun” in Seroquel’s favor, check out 1BoringOldMan). This is an important topic that deserves much more attention. Obviously, researchers and pharmaceutical companies want their drugs to look as good as possible, and want placebo responses to be nil (or worse than nil). In fact, Kinon and his colleagues are all employees of Eli Lilly, manufacturer of Zyprexa and other drugs they’d like to bring to market, so they have a clear interest in this phenomenon. Maybe researchers do “pad” their studies to include as many patients as they can, including some whose symptoms are not severe. 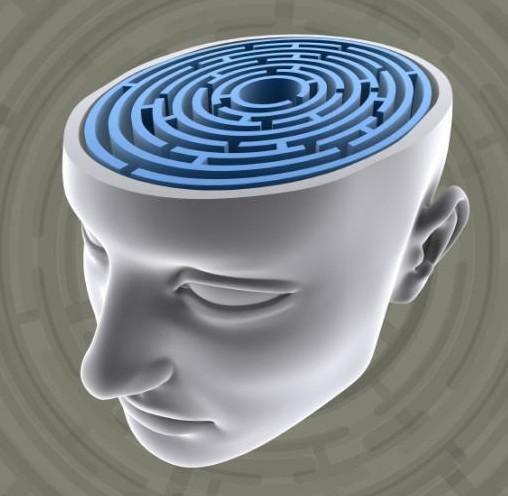 Maybe new antipsychotics aren’t as effective as we’d like to believe them to be. Or maybe schizophrenics really do respond to a “placebo effect” the same way a depressed person might feel better simply by thinking they’re taking a drug that will help. Each of these is a plausible explanation. For me, however, a much bigger question arises: what exactly are we doing when we evaluate a schizophrenic patient and prescribe an antipsychotic? When I see a patient whom I think may be psychotic, do I (unconsciously) ask questions that lead me to that diagnosis? Do I look for symptoms that may not exist? 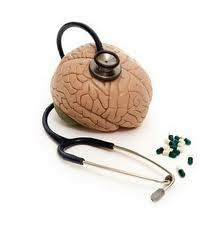 Does it make sense for me to prescribe an antipsychotic when a placebo might do just as well? (See my previous post on the “conscious” placebo effect.) If a patient “responds” to a drug, why am I (and the patient) so quick to attribute it to the effect of the medication? I’m glad that pharmaceutical companies are paying attention to this issue and developing ways to tackle these questions. Unfortunately, because their underlying goal is to make a drug that looks as different from placebo as possible (to satisfy the shareholders, you know) I question whether their solutions will be ideal. As with everything in medicine, though, it’s the clinician’s responsibility to evaluate the studies critically—and to evaluate their own patients’ responses to treatment in an unbiased fashion—and not to give credit where credit isn’t due. Long-term treatment with antipsychotic medication apparently causes a decrease in brain volume, according to a new report by Nancy Andreasen’s group at the University of Iowa in this month’s Archives of General Psychiatry. In the study, over 200 schizophrenic patients, treated with antipsychotics, underwent MRI scans of their brains at various intervals over a 5-14 year period. The results showed that the “intensity” of antipsychotic treatment (i.e., doses and lengths of treatment) correlated with the reduction in brain tissue. 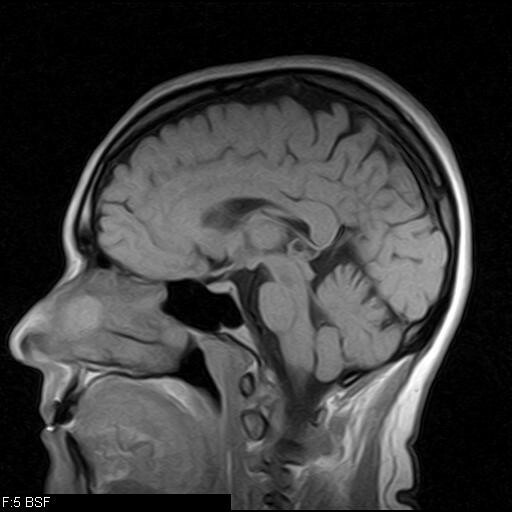 Instead of just looking at an overall “snapshot” of the brain, researchers calculated the volumes of several brain regions (from the whole-brain MRI scans) and found, on average, subtle decreases in both gray matter and white matter volumes, as well as enlargement of the ventricles (the “spaces” in the normal brain). The changes were more pronounced with longer time periods of treatment and, in particular, when higher doses of antipsychotics were used for extended periods of time. As expected, this finding has generated a great deal of interest— if not concern– and more than a touch of “I-told-you-so” from certain camps (see “Antipsychotics Shrink the Brain” by Robert Whitaker). Indeed, at first blush, it is quite shocking to think that the first-line treatment for such a devastating brain disease might cause damage to the very organ we are trying to treat. But is it really “damage”? All joking aside, I think the title of this post needs to be taken seriously. Does the observed loss in brain tissue loss mean that a person is incapacitated in any way? That he can no longer think, feel, see, taste, or make plans for the future? Moreover, despite the headlines, the tissue loss was not incredibly dramatic. In other words, we’re not talking about a healthy, robust brain turning into a moth-eaten mass of Swiss cheese. In fact, by my read of the data, the largest individual change in frontal gray matter volume was from about 330 cm3 to 290 cm3 over a 10-year period (yes, that’s >10%, but who knows what else was happening in that patient?). 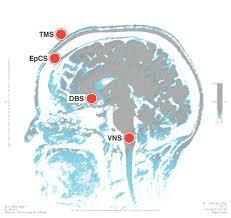 Other changes were much smaller, and many patients actually showed increases in brain volumes. The best way to tackle this question, of course, is to take two groups of schizophrenics, treat one “as usual” with antipsychotics and the other with no medication at all, and perform brain scans at regular intervals. For ethical reasons, we can’t do this (it’s unethical not to treat a psychotic patient with an antipsychotic– although some would argue differently). 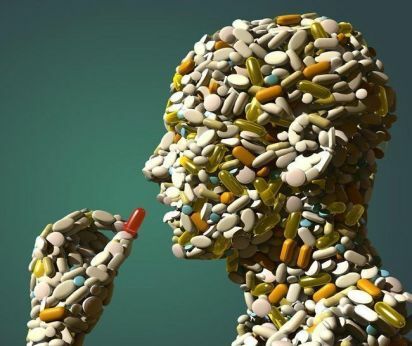 Another way is to take advantage of the fact that many non-schizophrenic patients are now taking antipsychotics for OTHER diagnoses– bipolar disorder, depression, anxiety, insomnia, PTSD (just to name a few)– and we could compare those on antipsychotics to those on other drugs. If we see brain tissue loss across a wide spectrum of diagnoses, it suggests that this effect may be a direct result of antipsychotic treatment, even though the mechanism remains unknown. Regardless of what’s actually happening in the brains of treated schizophrenics– and whether it’s “good” or “bad,” or whether it resembles the brain loss observed in birds living near Chernobyl— two things must be kept in mind. First, the patient’s well-being is of utmost importance; it would be inappropriate to withhold antipsychotic treatment from a patient who is clearly tormented and disabled from his paranoia, his delusional preoccupations, and his absolute lack of insight, particularly when we know that such medications do, in most cases, result in dramatic improvement. At the same time, we must also consider the other side of the coin, namely that if antipsychotics might cause an unexplained loss in brain tissue—or any other anatomic defect elsewhere, for that matter—we must seriously consider our rationale for these drugs. In particular, brain development in children is an ongoing process, not complete until late adolescence or early adulthood. Hopefully this finding will stimulate research to determine how antipsychotics affect brain cells over time. Perhaps then we can find ways to preserve brain structure – or, at least, essential brain structure—while still treating the symptoms of mental illness. In other words, avoiding harm, while still doing good. You are currently browsing the Thought Broadcast blog archives for February, 2011.